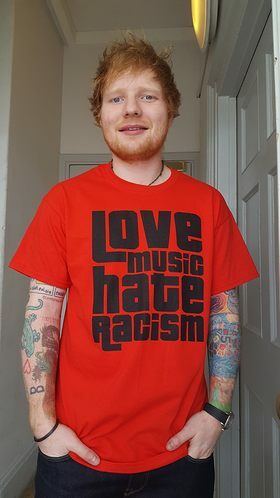 A huge number of stars – including Ed Sheeran, Charli XCX, Coldplay, Birdy, James Blunt and Green Day – are supporting the relaunch of Love Music Hate Racism. Love Music Hate Racism is a continuation of the Rock Against Racism movement of the late 1970s, which used music to unite people and promote antiracism. LMHR has been working in partnership with a number of renowned music labels in order to relaunch the campaign, and they have taken photos of over 30 international artists wearing the iconic ‘Love Music Hate Racism’ t-shirt. This campaign is not just for famous artists! You can help publicise LMHR and the 18th March UN Anti-Racism Day #MarchAgainstRacism! Just tweet an anti-racist message or a selfie with the words ‘Love Music Hate Racism’ or ‘March Against Racism 18th March’. UN Anti-Racism Day is a global day of action against racism in all its forms. There has never been a more important time in recent history to stand up to racism. There has been a rise in racist attacks and hate crimes following the election of Donald Trump in the US and the Brexit vote in the EU referendum in Britain. Now more than ever – we must stand up to and unite against this growing racist threat. Love Music Hate Racism Bloc on the #MarchAgainstRacism. National Demo 18th March 12 noon, Portland Place, London, W1A. 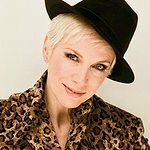 Find out more at LoveMusicHateRacism.com.